In a skillet, heat oil over medium high. Once hot, add the celery, carrot and onion. Cook until soft and onions become translucent. About 6-8 minutes. Meanwhile combine brown rice and water in a saucepan. Bring to a boil then reduce heat and cover. Simmer 12 minutes or until water is absorbed. Fluff with a fork and set aside. Add turkey, garlic, worcestershire sauce, soy sauce and sugar to the skillet. Stir until turkey is brown and no pink remains. About 10 minutes. Fold in brown rice and remove from heat. 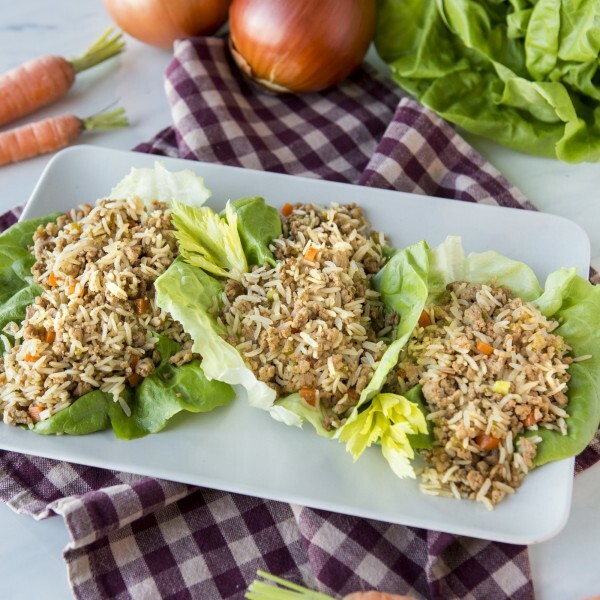 Place butter lettuce on a serving platter and spoon turkey mixture onto each leaf. Salt and pepper to taste.